Important information - Our service is designed for investors who want to make their own investment decisions without personal advice. If you are unsure of the suitability of an investment for your circumstances please contact us for advice. Investments will fall as well as rise in value so you could get back less than you invest. Tax rules can change and benefits depend on individual circumstances. Once held in a pension money is not usually accessible until age 55 (57 from 2028). A fund is an investment that pools together money from lots of individuals. The fund manager then invests the money in a wide range of assets e.g. UK shares, overseas shares, bonds etc. Each investor is issued units, which represent a portion of the holdings of a fund. Different funds specialise in different sectors - for example, if you're interested in Europe you could invest in a fund that focuses on Europe. 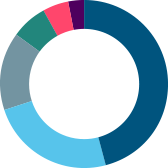 See our most popular fund sectors. 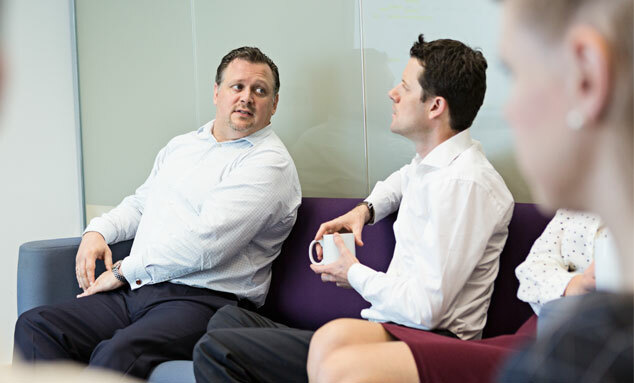 Benefit from the expertise, knowledge and time spent by the fund manager and their team researching and picking the best opportunities in a chosen sector. Investing in funds means your money is spread across multiple assets. As some investments will perform better and some worse over time, diversifying will, in theory, help spread the risk and smooth returns over time. We always recommend investing for at least 5 years - you have a better chance of riding out short term volatility and benefitting from greater returns. Shelter £20,000 from tax, with access when you need - choose from ready-made investments, do-it-yourself or get a little help from our experts. Build your fund and share portfolio with our flexible investment account. Free fund dealing and online share dealing from £5.95 to £11.95 per trade. Make more of your pension with our low-cost, award-winning account, wide investment choice, and expert research. 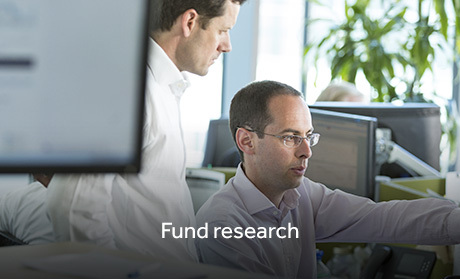 Sign up to receive regular updates from our team of research experts on a wide range of funds. 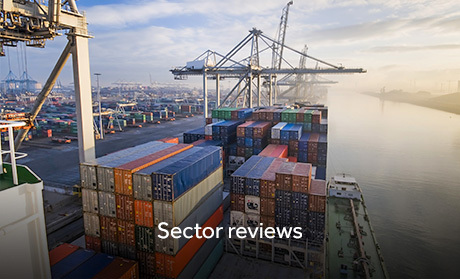 Find out what our research team think across all the major investment sectors. Getting started is easy, whether you already have an account with us or are new to HL. If you're new you can open an account first and choose your funds later. Or, you can start by building your fund portfolio and then opening an account to hold it in. Invest from as little as £25 a month or with a £100 lump sum. Whether you want a ready-made portfolio, to build your own portfolio or choose from our list of favourite funds we can help you. Choose from our range of award-winning accounts. Simply open an account and choose your funds straight away, or invest at a later date. Stay up to date with our expert fund and share research to help you make informed decisions. Why hold funds with Hargreaves Lansdown? Whether you're an experienced investor, just starting or want to leave it to an expert, you'll be able to find the right funds, with over 2,500 funds to choose from. Our experienced research team's knowledge and insight is available to you with regular research updates. Sign up to alerts to keep you up-to-date with the latest insight. Most fund trades cost absolutely nothing and usually confirmed by the next working day. We also have an automated low cost income reinvestment service. Pay in on a monthly basis from £25 a month. You can choose to invest in funds, FTSE 350 shares or eligible investment trusts, or hold the money as cash until you choose what to do with it. The type of unit you hold determines how any income generated from the fund's underlying investments is treated. With income units, income is paid out to fund holders as cash. This could provide the investor with an income stream or the cash could be reinvested to buy additional units. With accumulation units income is retained within the fund and reinvested, increasing the price of the units. Generally, for investors who wish to reinvest income, accumulation units offer a more convenient and cost-effective way of doing so. What is the difference between 'inclusive' and 'unbundled' funds? In the past most investors who held funds, such as unit trusts and OEICs, paid a single ongoing charge to the manager of their chosen funds. This charge often included an element of commission which the fund manager shared with brokers, such as Hargreaves Lansdown, to help pay for their service. We call these funds 'inclusive' funds. Changes to FCA rules now mean that when investors purchase a fund any commission must be rebated to the investor. Fund management groups have launched versions of their funds with lower ongoing charges, which do not include any commission. We call these funds 'unbundled' funds. You can buy funds online, over the telephone or by post. Please ensure you have read the fund's Key Investor Information Document (KIID) or Key Features first which is available from the individual fund factsheets on the website. Online: If you're registered for online access, simply log in and select the relevant account, such as the HL ISA or SIPP and click the ‘Deal Now’ button. Search for your chosen fund investment and continue to the confirmation page. If you're not already registered, you can set up online access by selecting the ‘Register’ tab at the top right of the screen. Telephone: Provided you have set up your security details, you can call our stockbrokers on 0117 980 9800 Monday - Friday: 8am - 9pm. Post: Download a dealing form from our Useful forms section and return it to: Hargreaves Lansdown, One College Square South, Anchor Road, Bristol, BS1 5HL. Hargreaves Lansdown do not charge a dealing commission to buy or sell funds. Funds fall into two main categories – unit trusts and open-ended investment companies (OEICs). They share many characteristics, for example both are normally priced once per day. The price is based on the net asset value (NAV) of the underlying holdings divided by the number of units or shares in issue. Dealing for both types of fund takes place on a forward-pricing basis, which means that a buy or sell instruction is placed at the next available valuation point. For this reason investors do not know the price they will pay or receive until after the deal is completed. Unit trusts and OEICs are both ‘open-ended’, which, normally speaking, means that if more investors are buying units than selling, the manager ‘creates’ new units. If the opposite is true, the manager ‘cancels’ units in the fund. Unit trusts and OEICs can differ in the way prices are displayed, and the way charges and discounts operate.